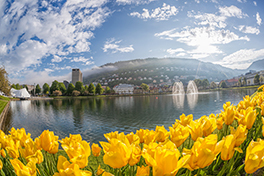 We sail from Bergen, Norway with Viking Cruises on one of its newest ships, the Viking Sky. Step on board your ship to begin your journey. 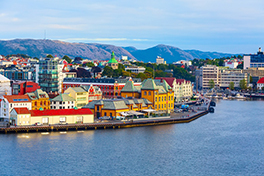 Encircled by majestic mountains, fjords and glaciers, Bergen was home to Viking sagas. With your ship berthed next to Bryggen wharf, a UNESCO Site, easily stroll along its waterfront. This evening mingle with the locals and dine ashore, as we will be spending the night in port. Awake in Bergen and further explore this Norwegian treasure. See the beautiful 18th-century wooden houses, and visit the Hanseatic Museum on your included tour. Perhaps take an excursion to Troldhaugen, the home of Edvard Grieg, Norway’s famous composer. Or take a trip to the top of Mt. Ulriken, where you can savor an Ulriken bun, a cinnamon pastry, with a view that is equally as indulgent. 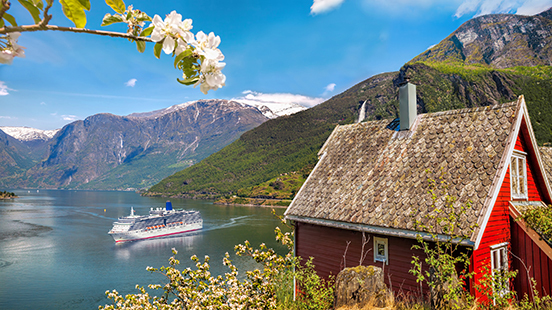 Cruise through breathtaking fjords into the village of Eidfjord, nestled in the heart of one of Norway’s most scenic regions. Ascend Europe’s largest mountain plateau, Hardangervidda, for sweeping views of epic Nordic landscapes. Here, in Norway’s largest national park, visit the informative Nature Center and perhaps view the Hardangerjøkulen glacier in the distance. You can also marvel at the stupendous 550-foot drop of the Vøringsfossen waterfall into the cavernous Måbødalen canyon. Alternately, you can opt to visit the expansive fruit orchards of Lofthus or tour Europe’s largest hydroelectric power plant at Simadal. Call on Kristiansand today, a charming small city near the tip of Sørlandet, Norway’s southland. Its strategic location on the Skagerrak strait long made it both a military stronghold and the royal residence of Harald Fairhair, the first King of Norway. 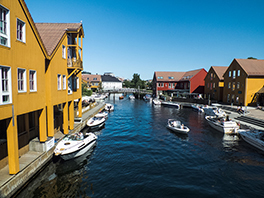 Discover this remarkable city during a panoramic drive, featuring the impressive 17th-century Christiansholm Fortress, the fish market at Fiskebrygga wharf, the Old Town with its picturesque wooden houses and the splendid neo-Gothic cathedral. Alternately, you can visit its fascinating Kristiansand Cannon Museum, a remarkable collection of coastal artillery. 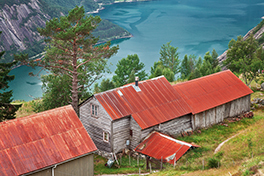 Discover the cultural riches of Norway’s sophisticated capital today. Oslo enjoys a stunning setting at the northern tip of the Oslofjord and boasts a rich history and cosmopolitan flair. 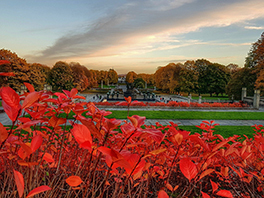 See the once-mighty fortress of Akershus, the splendid Royal Palace and more before enjoying a leisurely stroll through the city’s famous Vigeland Park, a breathtaking collection of 212 stone and bronze sculptures. With an overnight stay here, you can learn the secrets of aquavit during a distillery visit or enjoy a Privileged Access excursion to the Munch Museum after hours. Continue your discovery of Oslo today. Perhaps you will venture to the city’s Bygdøy peninsula and the Viking Ship Museum to witness some of the best preserved longships in the world. 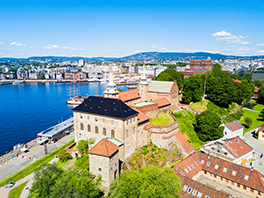 Alternately, get a closer look at the ramparts and exhibits at the Akershus Fortress or browse the fascinating galleries of the Munch Museum, home to one of Edvard Munch’s most iconic paintings, The Scream. Witness the legacy of Gothenburg’s maritime past during a visit to Sweden’s second largest city. Built upon the prosperity of the Swedish East India Company, the city is home to historic stone merchant houses and grand squares. 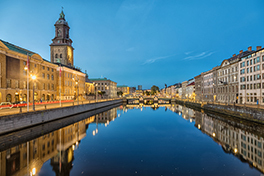 A panoramic tour introduces you to its highlights, including the impressive Masthugg Church with its 200-foot tower, the cultural center of Götaplatsen with its towering Poseidon sculpture and many fine cultural institutions, and Gustav Adolfs Square, named for the city’s founder. A visit to the thriving fish market helps you take in Gothenburg at its most authentic. Alternately, visit the archipelago of Öckerö and take in its scenic charms. Founded by the Vikings in the late 900s, this historic city straddles both sides of the Limfjord Sound. Spend the morning strolling along to Nytorv (New Square) to see the Renaissance-style Jens Bang’s House, the baroque-style Town Hall, and the charming 14th-century Budolfi Church. Take in the lively Jomfru Ane Gade, a street lined with trendy cafés and restaurants. Or, opt for a tour led by a local chef to taste traditional aquavit, an herb-infused spirit distilled here since the 15th century. 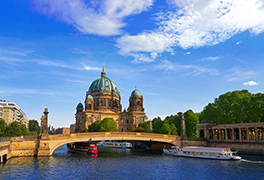 From port, take the included transfer through the scenic countryside of the Mecklenburg region to Germany’s historic capital, Berlin—just a few hours away—where you will have the day to explore. Here you can discover at your own pace the major sights of the Berlin Wall, Alexanderplatz square and Checkpoint Charlie. Alternatively, on an optional tour take lunch in the Käfer restaurant, which perches atop the magnificent Reichstag. Originally a Viking fishing village founded in the 10th century, the Danish capital boasts over 850 years of history. 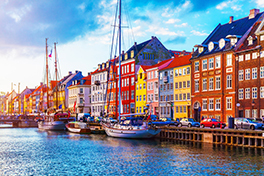 With an entire day to explore, pass the brightly colored houses of Nyhavn, or New Harbor, once the home of Hans Christian Andersen. Discover the sumptuously rococo interiors of Amalienborg Palace, the winter residence of the Danish royal family. You may also want to consider a trip to the ornate Kronborg Castle, a UNESCO World Heritage Site and the inspirational setting of Shakespeare’s Hamlet. This fairy-tale city provides plenty to explore, including delights for your palate at one of the many Michelin-starred restaurants, where you can indulge in a decadent lunch or an early dinner. Disembark your ship this morning and transfer to the airport for your return flight home. 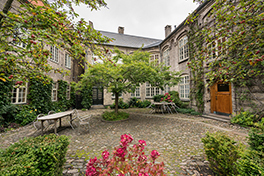 Or stay on to explore more of Copenhagen’s charms. Listed below are the stateroom categories available on our ship. Please note that for a number of the categories the Sales Price plus the Viking Group discount results in a significant savings in the final cost. Note: Prices are Double per person. Deposits are refundable except for $100 Cancellation Fee (as long as you are 120 days away from the trip start date) . Prices are not locked in until I have your deposit. OR To pay by credit/debit card, complete the information on the registration form and fax it to 630-559-8845 or scan the completed form to your computer and email it to avivatravel@aol.com.